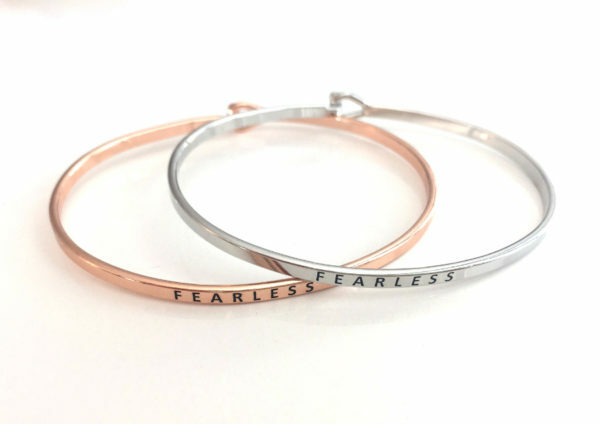 Tags: bracelet, brass, cuff, Fearless, Inspirational. Introducing our Inspiration Cuff Bracelet series, in full support of woman’s empowerment. 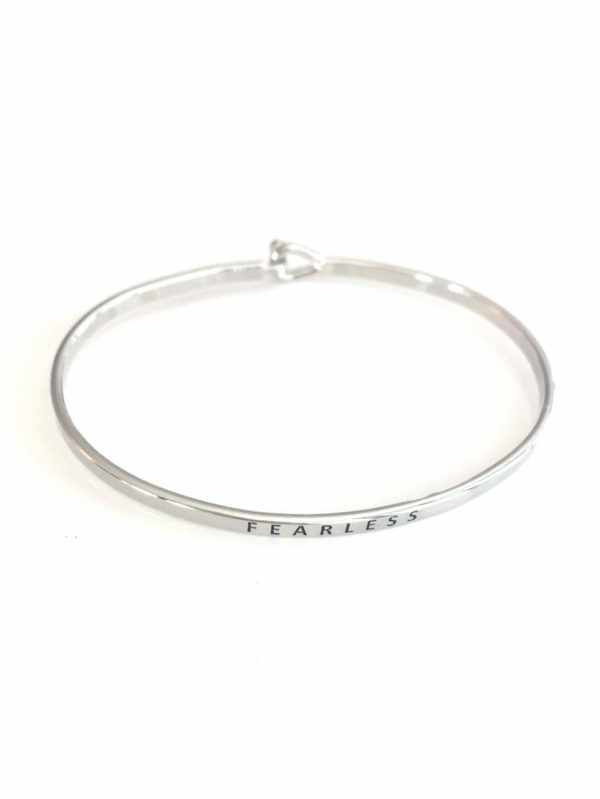 Our dainty bracelets serve to remind ourselves to move forward, and encourage women to continue to strive for whatever they define as success within their lives. Each bracelet is made of brass and engraved with an inspirational message. The engraved “Fearless” message stands to remind us that there are no limits to what we can achieve, and to not be afraid to to move forward and persevere. Available in silver or rose gold toned metal, one size fits all.